How was your Thanksgiving? Did you eat and shop too much? I definitely did! But, I still have a lot more shopping to do! This week I’m loving dry skin fighting skincare, a tropical scented deodorant and a self-tanner that is giving me a healthy glow. It’s important to keep looking and feeling good during this stressful time of year! 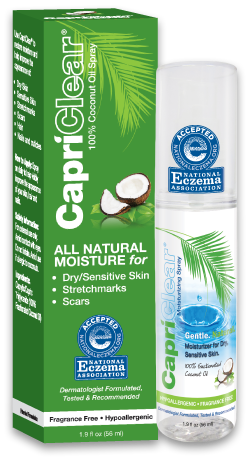 CapriClear Spray On Moisturizer ($19.99 for 5.2 oz and $10.99 for 1.9 oz) — Made with 100% fractionated coconut oil, this all-natural, paraben-free treatment combats dry, flaky, irritated skin, making it soft and silky. Conceived by a dermatologist, fragrance-free CapriClear is an exceptionally pure, gentle and effective single-ingredient solution for even the most sensitive skin. It also has the eczema seal of approval and is safe for the entire family. Plus, it results in soft, silky skin. What I think: I have been experiencing some dry patches on my sensitive skin. I have started using this at night and my skin is much smoother in the morning. Just a little bit goes a long way, as this is very moisturizing. Available at CVS and Walgreens stores. 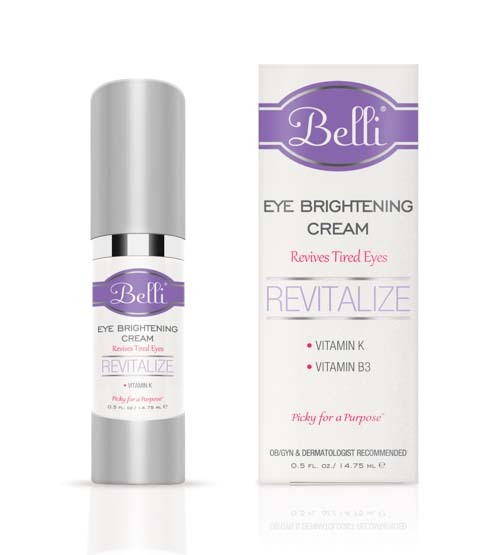 Belli Eye Brightening Cream ($39 USD) — Formulated with vitamins K and B to reduce the appearance of these telltale signs of fatigue and dehydration, this luxurious cream is the perfect anti-dote to late nights and interrupted sleep. Brighten your day and your look with this soothing and restorative refreshment for the eyes. What I think: This fab eye cream is extremely hydrating. I love using it at night. In the morning my eyes are smoother and the dark circles are lighter. It can also be used in the morning under makeup. 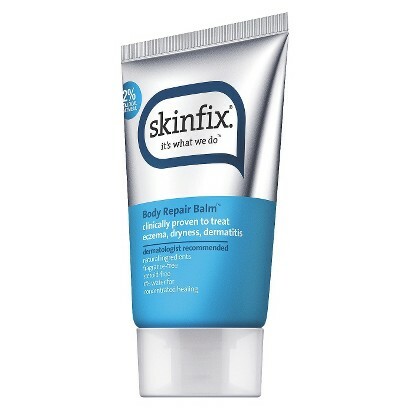 Skinfix Body Repair Balm ($17.99 USD) — Clinically proven to treat eczema, dryness, and dermatitis. Total relief from the itch, the ouch, the red, the chronic, angry inflamed skin. Skinfix Body Repair Balm is a safe and effective natural medicinal alternative to traditional steroid treatments – which can do more harm than good to skin’s natural moisture level. This healing balm repairs skin’s barrier with 2% colloidal oatmeal, twice the level of most other eczema products. The formula is packed with natural active ingredients like sweet almond oil, allantoin, and zinc; combined with natural butters, soothing botanicals, and emollient protective oils to immediately relieve and protect the skin. What I think: My 19-year-old daughter has eczema and was excited to try this balm. She applies it on her arms and legs at night, and by morning her skin looks and feels better. She has just been using it for about a week, but is seeing improvement already! 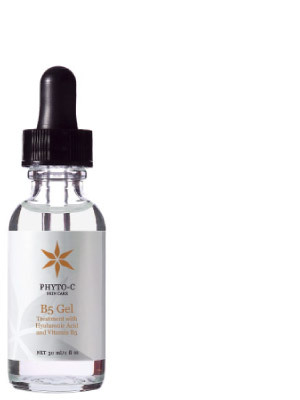 Phyto-C B5 Gel ($35 .5 fl oz, $60 1 fl. oz.) — Formulated with vitamin B5 and hyaluronic acid, this moisturizing gel provides intensive hydration by binding water to plump skin tissue. The B5 Gel also diminishes the appearance of fine lines and wrinkles, while smoothing and softening skin. What I think: Before I used this on my face, I applied a little on the back of my hand. My skin was instantly softer and smoother! I have been using it in place of my serum in the morning and night and love how smooth my skin looks and feels! It has smooth my rough patches and even helped with redness! 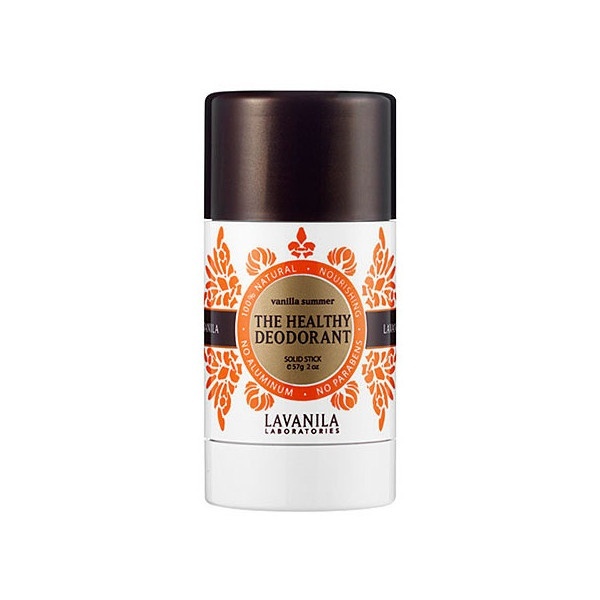 Lavanila Vanilla Summer The Healthy Deodorant ($14 USD) — This All-Natural, freshly scented deodorant provides superior, long-lasting odor protection. Soothing essential oils blend with powerful anti-oxidants and beta glucan technology for daily defense and nourishment. Clinically Tested. Dermatologist Recommended. No Aluminum. No Paraben. No Propylene Glycol. No Harsh Chemicals. Tropical pineapple and mango blend with exotic coconut and Madagascar vanilla for an island freshness that lasts all day. What I think: This scent is so tropical, which is so nice when it’s freezing out. I can almost imagine warm, balmy days! This solid works really well for people who do not need super-strong deodorant (like me). I suggest that you purchase it for tweens and teens, since it is good for skin and has natural ingredients. Vita Liberata pHenomenal Lotion ($54 USD) — This product is not only completely odorless, but also contains certified organic botanicals as well as a unique moisture-lock™ system that draws water to the skin surface and locks it there for 72 hours, keeping skin soft and smooth upon application. What I think: Love this self tanner! It is odorless, which is rare in a self-tanner. It is also very easy to use with the enclosed tanning mitt. If you apply it carefully, it will give you a flawless tan that lasts for days and even weeks! Available at http://www.sephora.com and Sephora stores.